Whether you’re just beginning to invest or are a seasoned investor, there’s one question that we all have. It’s a question that I guarantee you’ve asked yourself at one point or another – why do some people succeed at investing while others fail, and how can I be one of the successful people? When it comes to investing, you can be your own worst enemy. This is because money is emotional, and when volatility strikes, it causes you to react emotionally – even irrationally or dangerously. Emotionally driven investor behavior often hurts you more than it helps you. And there are numerous emotional triggers and traps that will plague you almost daily as an investor. Before you put that first dollar into your investment account, you have to understand this – you have to know what can deter your success. You also need to determine the best way to invest based on your personal values, wants and most important goals. So, how can you avoid bad investor behavior? How do you know that you’re making the right investment decision? 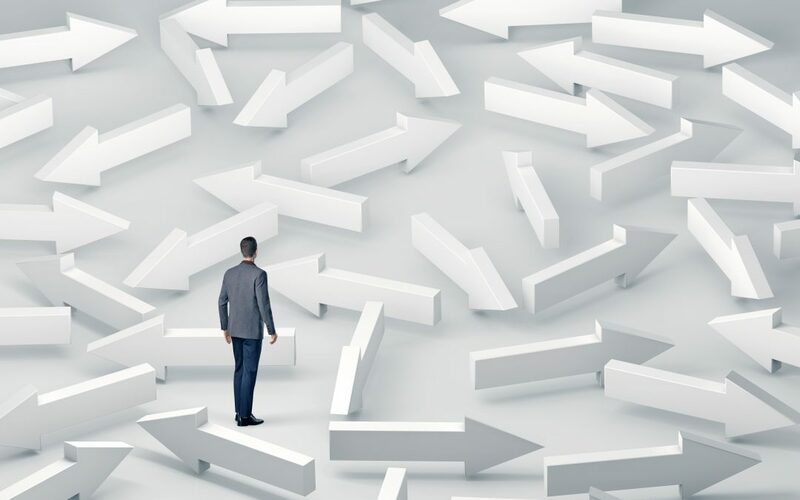 What is the overarching philosophy that’s guiding your decision making process? Easy, refer to your Investment Policy Statement (IPS). An IPS is one of the best ways to guide your investment decision making process. It’s one of the best ways to make sure that your personal values and most important goals are at the heart of your strategy. It’s one of the best ways to avoid bad investor behavior and maintain a disciplined approach. It’s also a great way to set expectations between yourself and your wealth manager, and to make sure all fees are completely transparent. Purpose. What is the purpose of your IPS? This should be easy, because we’ve already given you the answer. Your IPS is meant to foster a disciplined approach to investing by guiding your decision making process based on your most important goals and personal values. Statement of Values. If can’t name your top five most important values, do that now. These are things that money enables you to do, the things that fuel your “why.” They should be defined and clearly laid out in this section of your IPS. All of your investment decisions/actions should support these values, so this is a good way to remind yourself of what’s motivating you. Statement of Objectives. These are defined based on your values. For example, if family is your number one value, one objective of your investment account(s) may be to send your children to college. Other elements such as time horizon, risk tolerance and performance expectations should be detailed here as well. Duties/Responsibilities. It’s important to know what role everyone on your investing team will play. Who is on your team and what role do they play? How involved will you be? Do you want a partnership with your advisor, or do you want them to take everything off your plate? What is the duty of the actual investment manager? These are important things to stipulate. This sets expectations upfront, and enacts accountability for each team member. Portfolio Selection. What are the actual investments that will comprise your portfolio? This should be based on previous elements, such as your risk tolerance and time horizon. Here is where you put your portfolio on paper, so that you can clearly see each individual investment and what the complete picture looks like. Performance Monitoring. It’s important to know what dictates the selection of investments in a portfolio, and what determines their hiring and firing. This is an important question to ask and understand. This is where that criteria should be explicitly stated. Again, base decisions on facts, not opinions. Costs. Any fees associated with your portfolio should be accurately communicated, and your advisor should be nothing less than 100% transparent with you. Period. Review. Don’t overlook this last part. You need to stipulate how often your IPS should be reviewed. You should review your IPS annually at the least. Some people will need to review theirs quarterly. This ensures that as life changes, your investment strategies change with it. While this is a simple template to help get you started, your IPS should be unique to you. After all, investing isn’t about a “number.” It’s about maximizing your financial potential with good habits, control, and value (what you value personally and what money enables you to accomplish). This is why you have to protect yourself against those bad decisions that can deter your success. When you have an IPS, the choice is simple – if the investment doesn’t align with what’s stated in your IPS, you shouldn’t invest in it. Period.